As part of the White House #TechHire initiative, Codecademy is excited to announce our new partnership with the Obama administration, focusing on helping underrepresented and diverse groups of citizens get the skills they need to find jobs through code. Programming is the future—a coding education gives anyone the ability and skills to create their own future, businesses, and stable foundations. At this time, wide access to computing education for students is missing. We hope to bring it up a notch through free coding courses, available to anyone with an internet connection. As a leader in coding education, we find ourselves with a responsibility to help others interested in technology to take the next step. 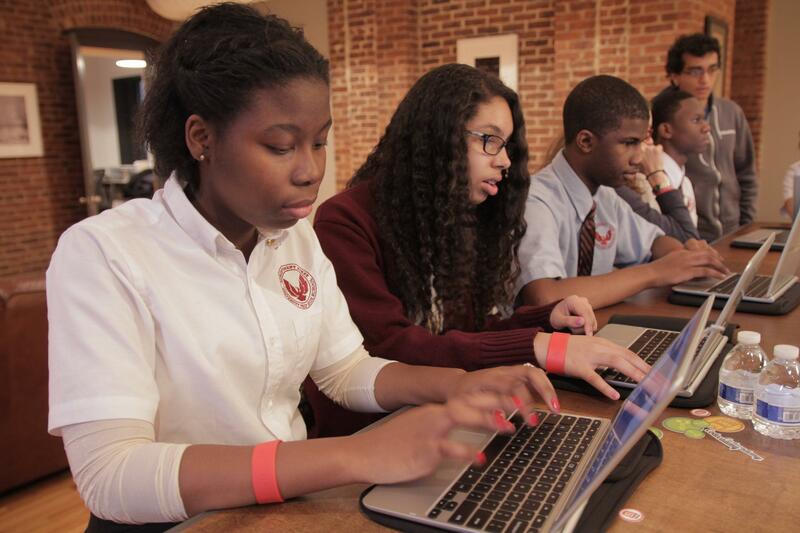 Partnering with Libraries Without Borders in New York, we’ve pledged to reach out to 600 underserved and minority students to participate in Codecademy Meets. This series of events will start at our NYC Codecademy HQ, then grow to different parts of the country, including learners from all backgrounds. At Codecademy Meets, our Codecademy team members will talk about today’s importance of a tech education, and go into detail in why and how coding can change lives, create jobs, and nourish skills, as well as provide resources for folks to learn on their own. We’ll be learning hands-on with Codecademy courses that teach valuable programming skills necessary to get started on a new path in technology—all for free. Coding is for everyone. We’re here to bring it to everyone.